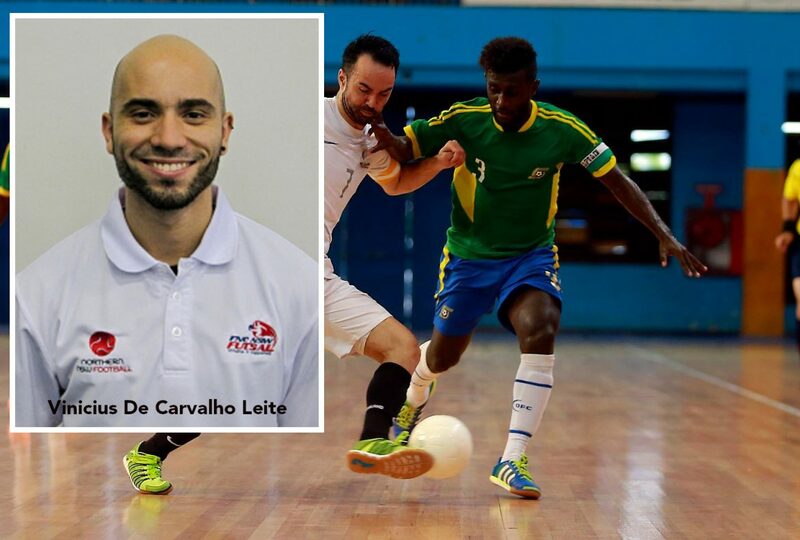 Brazilian Vinicius De Carvalho Leite is officially appointed as Solomon Islands national futsal coach to take the helm of Kurukuru leading up to the FIFA Futsal World Cup qualifiers in New Caledonia this year. Solomon Islands Football Federation (SIFF) CEO, Leonard Paia makes the official announcement in a press conference today at the Allen Boso complex in Honiara. “After the departure of Jerry Sam who SIFF employed as coach and development officer, we have been looking for a replacement,” he said. Paia highlighted the importance of defending the OFC futsal title as the major factor behind the appointment of the Brazilian. “The position of the head coach for Kurukuru is very important for us Solomon Islands. “Because as we know, we are the defending champions and for the past three consecutive championships we had defended it and we are also looking forward to defend the upcoming championship in New Caledonia,” Paia added. Vinicius has played an important role in the development of futsal in Australia with his Sydney based ‘Just Futsal’ programme and the Brazilian was part of the Kurukuru team at the 2016 FIFA Futsal World Cup in Colombia. He was the assistant coach at that time under compatriot Julian Schmeling. The Brazilian is expected to arrive in the country next week. Meanwhile, the national team has been training under the guidance of former Solomon Islands internationals Francis Lafai and Stanley Puiarana while waiting for the Brazilian. The OFC Futsal Nations Cup is scheduled to be held from 12 September to 30 October in New Caledonia where the winner qualifies for the FIFA Futsal World Cup Lithuania in 2020.